I just wanted to be alone today. 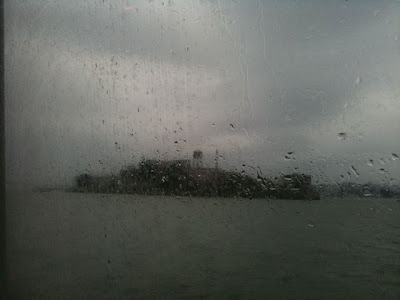 There is a ferry that runs between the San Francisco Terminal and Sausalito, I took the 10:15 so I could eat at Fish and still make my flight home to NYC. Taking a boat anywhere is always fun to me. Fish is right on the dock down the street from the Heath factory store, so I bought some bowls on the way. 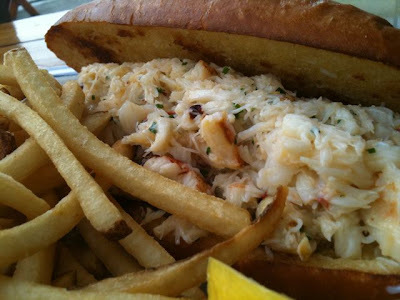 This crab sandwich was moist and the roll was buttery and soft, it was as good as it looks. The ferry ride back was melancholy, I'll miss our hosts Vieve and Patrick, but everything ended on a very Happy note.